For the ultimate handling of your Muscle Car, look no further than ST Suspension’s range of coil springs. ST offers heavy duty coil and leaf spring applications for the enthusiast wanting to restore their muscle car to stock or lowered height. 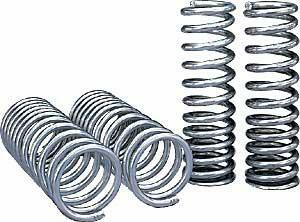 ST Muscle Car Springs provide the performance craving driver with an aggressive look with improved performance.